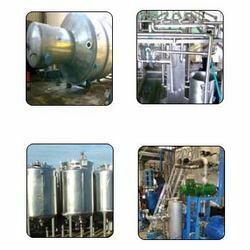 We are the leading manufacturer and supplier of Process Equipments to our valuable clients. Being a quality focused name, we manufacture, supply and export the premium quality of Reactor Limpet Coil. Designed by using latest machinery, the rendered reactor limpet coil is known for its impeccable finish, thermal stability and resistance against corrosion. Owing to our large production capacity of reactor limpet coil, we manage the bulk assignments of reactor limpet coil efficiently. 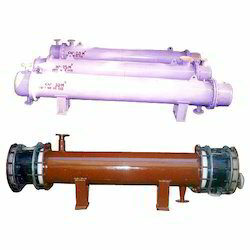 Since the inception of our company, we are engaged in manufacturing and supplying the premium quality of Heat Exchanger. Thermal stability, consistent performance and rugged construction, makes the heat exchanger highly demanded. Besides this, the heat exchanger is ideal of easy heat recovery and heating of water purposes. We manufacture and supply the premium quality of Metal Process Equipments. Manufactured as per the industry laid norms, the rendered metal process equipment is known for its consistent performance, thermal stability and durable construction. Total quality management is followed while manufacturing the rendered metal process equipment, to ensure a defect-free range. We are one of the leading manufacturers, suppliers and exporters of the premium quality of Steam Gland Condensor. Designed by using latest machinery and as per the industry laid norms, the Steam Gland Condensor is known for its resistance against corrosion, thermal stability and durable construction. The rendered Steam Gland Condensor are rendered in user-defined specifications.